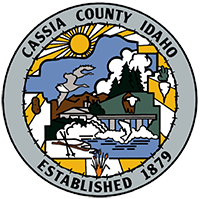 To Obtain Information About A Property use the Cassia County Public Property Information Access Site. The information provided on this site is to be used only for reference purposes. Cassia County does not warrant the accuracy, reliability or timeliness of any reproduction of the information in this website, and shall not be held liable for any losses caused by using this information. Any person or entity that relies on any information obtained from this website, does so at their own risk. When making payments, please contact our office for a current payoff amount as interest accrues daily. You will need a bill number when making payments online or over the phone. Please contact our office for your current bill number as a new one is generated on the parcel each year. Use Access Idaho for payments that are made online or in our office. The fee for Access Idaho is 2.5% of the total amount you pay. Use Official Payments for payments that are made online or over the phone. The fee for Official Payments is 2.89% of the total amount you pay. Please call Official Payments at 1-888-827-4240 to make a payment over the phone. 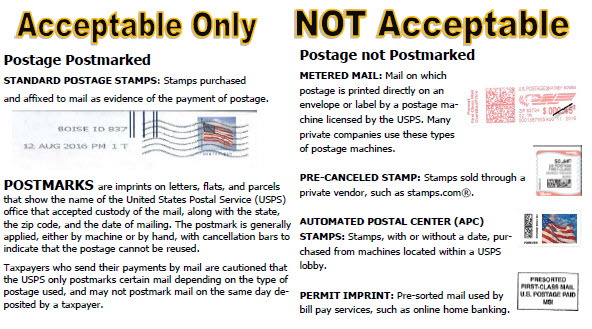 Pay in Person or by Mail. Please write your parcel or current year’s bill number on your check.